Phase 1 of most recent attempt to clean up area underway. 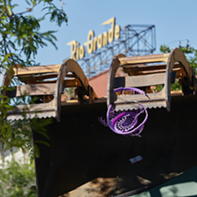 The four day old Operation Rio Grande, a multi-state agency drive to clean up the streets around the downtown shelter of crime, can already claim a singular success. The drug dealers, apparently, have moved out of town. 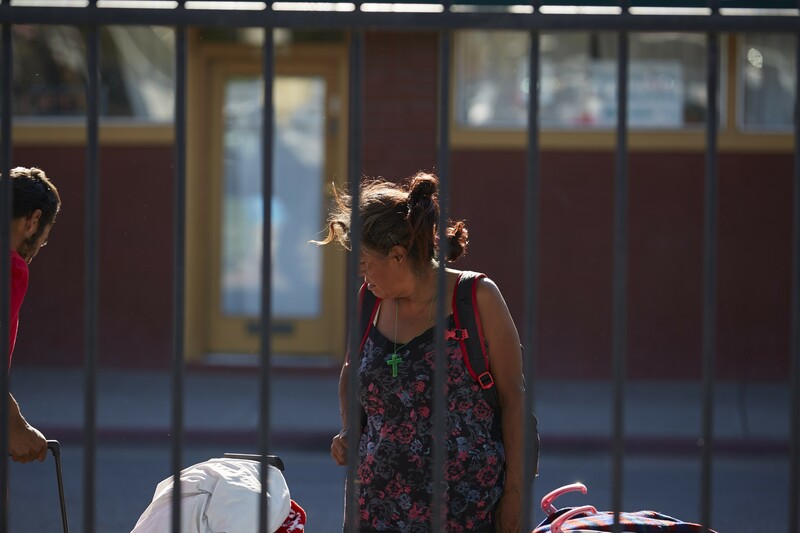 The operation, which is a much-expanded version of last year's Operation Diversion—although with fewer treatment beds available short term—followed a dramatic escalation of violence in the Rio Grande neighborhood with three deaths and national headlines. The first phase of the three-phase, two-year long projected operation is removing drug dealers and users, the second providing treatment and services to those in need and the third is help with the search for work and housing. 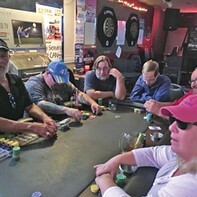 As far as the first stage is concerned, the swarming of police and Utah Highway Patrol officers in the area, with helicopters and vehicles, has produced the desired effect with regard to dealers who would otherwise work the street corners around the shelter. 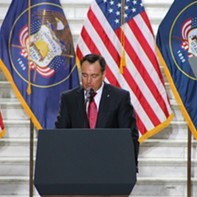 According to an internal memo sent out by the Utah Department of Public Safety today which City Weekly obtained, "initial intelligence has shown that the primary drug distributors in the area are relocating." That's the good news. The bad news is they're probably not relocating very far. 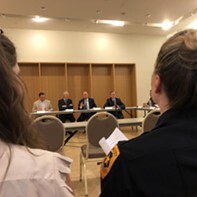 The memo continues, "As such, we anticipate that surrounding cities will see an increase in drug distribution activities as these organizations adjust to enforcement efforts." 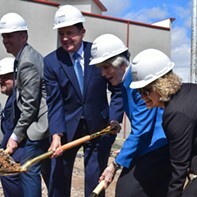 Surrounding cities such as, perhaps, South Salt Lake, which will be, along with Salt Lake City, hosting the new mini-shelters scheduled to open prior to the closing of the downtown shelter in summer 2019. Admittedly, state officials have signaled their determination to pursue drug dealers if and when they do relocate, a promise no doubt smaller cities who may find such activities on their street corners will be expecting them to honor. The Department of Public Safety doesn't know, exactly where they will end up, although the agency anticipates, according to the memo, that those cities that have seen Honduran dealers active in the past, will see an increase shortly as they re-establish their networks away from the heavy police scrutiny in Rio Grande. Honduran gangs have been one of the largest players in distributing drugs in the Rio Grande area. As a result of the departure of dealers selling black tar heroin and cocaine, the price of the former has skyrocketed in the area, the memo notes. There are still dealers selling spice, a drug which has caused increasing concern for law enforcement because of both its toxicity and the bizarre, disturbing and life-threatening behavior it can induce. The memo ended requesting information from officers' arrests and interviews that would indicate increase drug distribution in their area. 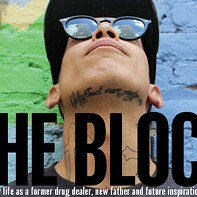 This comes as no surprise to Gabriel Estrada Zamora, who for a while was a dealer in Rio Grande until he turned his life around, a story told in an April 2017 City Weekly profile titled "The Block." In the world of drugs, he writes over Facebook Messenger, "it's about the money. The people that deal drugs see the profit that's made. It doesn't matter to them if you take some people out the game. There (sic) going to find a way back." I reached out to a veteran law enforcement source to get his take on the operation, which in its first day saw more than 80 arrests. "Humans are animals," he says. "They are going to go where the food source is. If there are addicts around, dealers go to where addicts are and vice versa. That's why you see so many addicts being rounded-up." The state, he continues, is going to spend two years "arresting everybody until they go away, until they realize this is no longer a tenable place to [use and deal] in the open air." What this change in tactics means, he says, is that moving the shelter to three smaller ones will ultimately change things very little, other than uprooting the problem from Salt Lake City. "They just want them out of the very valuable downtown area," he says. "It's all about the money." 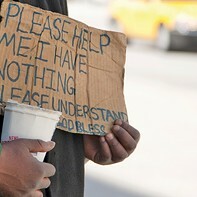 Homeless activist and social worker Ryan "Poet" Parker works at The Road Home shelter, but says his views are purely his own. "It shouldn't have come to this. Will we see results? Yes. But how are they are to be measured? Who does this truly benefit? Giving freedom to one group by stripping them from another." He argues the multiple state, county and city agencies involved "want to move 'the problem,' they just don't want to be blamed for it." He believes that the crack-down—or surgical strike-force to use state officials' language—"should have been prevented and not [done] to satisfy businesses. Politicians can now eat dinner at Pioneer Park ... At the cost of hundreds of police officers, 86 arrests, and hundreds displaced. Congratulations doesn't seem to describe this 'triumph' for those plagued by the violence of poverty." 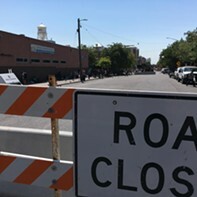 From the perspective of small businesses in Rio Grande, the large-scale, multi-agency presence, albeit scaled down from the National Guard intervention some had called for just weeks ago, must be a cause for some measure of jubilation. It must certainly have also brought a smile to the lips of those at the Pioneer Park Coalition, a group which represents businesses in the area and was the subject of recent CW profile Shelter War. They have long called for an aggressive push to stamp down on crime in the Rio Grande neighborhood. Downtown Alliance's executive director Jason Mathis says that for many small business owners just surviving is hard enough at the best of times, but trying to run a business in what many consider a war zone is painfully frustrating. "I do feel many felt they were under siege by criminals," he says. Mathis already sees positive changes in Pioneer Park, with people jogging and playing basketball. And on Rio Grande, the fewer people on the streets are "those seeking services, not there to party." He points out that those who flocked to the area to seek services should be free to do so without feeling threatened from those who law enforcement and politicians have described as wolves preying on sheep. "Shame on us as a community for not providing them with safety," he says. While recognizing the essential element of the law enforcement efforts, he says that cannot be enough. "It has to be followed up with "the promised treatment for mental health and substance abuse, along with affordable housing. In some ways we've reached a great mile stone." He continues that the best metric for success in his opinion will be when families are playing in Pioneer Park, whether housed or homeless, "without any fear. That will be the sign."